80. Support your favorite local, state, national, and international conservation organizations. There may be a host of problems facing birds, but there are also many nonprofit organizations working to solve them. No one wants to support any organization that uses donations to support its own infrastructure rather than to advance its proclaimed mission, but this isn’t always easy to evaluate. There are some tools that can help you figure out which are the most worthy conservation organizations. The Charity Navigator rates all kinds of nonprofit organizations based on their fiscal policies, as does the American Institute of Philanthropy. Their rankings may help you decide when choosing between organizations. Many bird conservation organizations are not rated, however, and few local or regional nonprofits provide data to these watchdogs. In addition, some organizations that get a low rating may actually be doing better work than their ranking implies. Every nonprofit organization should provide an annual report so you can decide for yourself. One of the easiest ways to judge the quality of an organization’s educational programs is to take part in them. If you find yourself turning to a particular Internet resource a lot, find out which organization produces it. 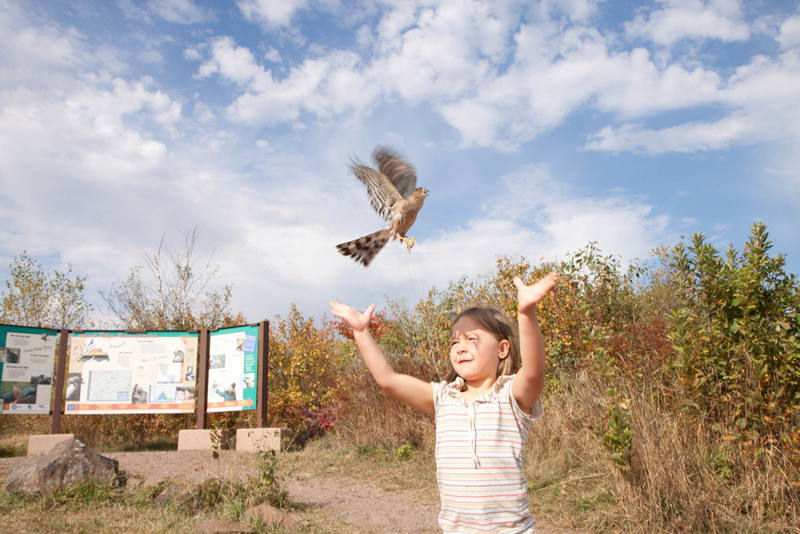 If an organization provides public programs that are useful and fun and that promote the love, understanding, and protection of birds, their educational programs are worth supporting. If the organization maintains a nature center or some other educational facility, you can judge it by how interesting and useful the displays are and how well it manages the property. Some organizations that trap and band birds display them publicly before release. Wild birds can be a wonderful resource in public education programs, but the birds’ welfare must be considered first. Showing groups struggling, desperate birds not only teaches some very bad lessons but also puts the birds under so much stress that some of them die. Banded birds should be handled for display for only brief periods and should never be held after they start to show signs of stress. 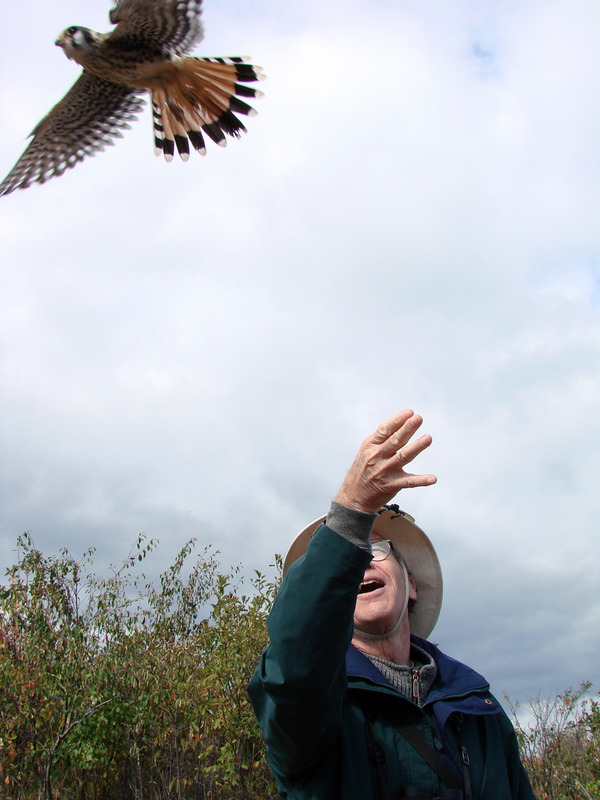 Allowing inexperienced people to hold a bird and release it can be such a magical experience that it’s worth some risk, as long as an experienced professional is at hand to guide the process. It’s often wise to assign two people to show and release banded birds: one to hold and pay attention to the bird, and the other to speak to the crowd. Some organizations have “adopt-a-bird” programs wherein people make donations to hold and release a particular banded bird. They often get a photo of the bird and a certificate with the bird’s band number and information about the species, and if the bird is ever recovered or retrapped, they’ll receive a postcard with the information. This kind of program can be an excellent way for nonprofits to solicit donations while conducting their regular research and educational programs. But adopt-a-bird programs often have a dark side. I’ve seen overly enthusiastic volunteers hold a bird for as long as forty-five minutes while working a crowd, jeopardizing the bird’s welfare to solicit funds. This is not only unethical and cruel; it’s also against the state and federal rules that regulate banders and those licensed to display birds for educational purposes. Organizations should enforce clear standards about how long birds can be displayed, and it should never appear that a bird is being held hostage for money. If you witness this kind of activity, let the organization know that you find it inappropriate. Sometimes, banding activities that really aren’t unduly stressful or harmful to birds can seem cruel. It is standard operating procedure to keep birds taken from nets in cloth bags or, in the case of hawks, restrained in metal or plastic tubes until the bander can band, measure, and release the bird. Like horses wearing blinders, diurnal birds in dark places are usually subdued and fairly calm. Experienced handlers recognize signs of stress and know how to work quickly, efficiently, and gently when they handle the bird. Inexperienced banders are obviously more clumsy, but they are expected to work under a master bander until they’ve become proficient. Some local birding organizations support a banding station or seasonal bird count as their primary research program. Research is useful only when it is published so that other scientists and the general public can take advantage of the information. By law, all bird banding data must be sent to the Patuxent Wildlife Research Center’s Bird Banding Laboratory, where it contributes to the huge body of data that establishes longevity patterns, migratory paths and timing, breeding success, and many other essential components of our knowledge base about birds. Bird banding data can be useful in many other ways, too. By keeping abreast of current ornithological literature, banders can recognize and fill gaps in our knowledge of birds. Bird banders funded by contributions to nonprofit organizations should belong to several ornithological societies, including the Association of Field Ornithologists and at least one of the major ornithological societies, such as the American Ornithologists’ Union UPDATE: Now part of the American Ornithological Society, the Wilson Ornithological Society, or the Cooper Ornithological Society UPDATE: Now part of the American Ornithological Society. There are also specialty societies, such as Hawk Watch International, the North American Bluebird Society, and the Hummingbird Society. Banding data can be extremely valuable in fostering public education on a local basis. For example, Sharp-shinned Hawks banded at Hawk Ridge Nature Reserve in Duluth, Minnesota, have been recovered from many locations in Central America and even South America. People in Duluth find this fascinating, so providing this information promotes interest in raptors and migrants in general and instills pride in local natural resources. How do you judge the quality of research coming out of various organizations? This can be tricky, but an organization’s annual report should include a list of recent papers published in the scientific literature by members of its research team, as well as a summary of the past year’s banding returns and other research findings. The publishing of papers in major scientific journals is competitive and is often not warranted for local research projects, but the publication of one or two major papers and a few smaller ones in regional and state ornithological journals and other smaller publications every decade, or the publishing of authoritative pamphlets and booklets of regional or local value, is a reasonable expectation to justify donations. The American Bird Conservancy. This organization, given the maximum four start by the Charity Navigator, uses research to prepare position papers and expert testimony that have had a major impact on several critical issues. Its current high-priority issues are the seabird bycatch from longlines, bird kills at communication towers, horseshoe crabs, the persecution of fish-eating birds, and birds and wind energy. The ABC has also been an extremely effective voice with pesticide issues. It orchestrated a landmark international accord to protect Swainson’s Hawks from the deadly insecticide monocrotophos in Argentina and then hired full-time staff to address the problem of pesticide hazards to birds. Its mission is to reduce the exposure of wild birds to hazardous pesticides and to better define when, how, and to what degree specific pesticides pose risks to birds. The ABC Web site is a treasure trove of solid information about this and other important issues. The Cornell Lab of Ornithology. The Cornell Lab focuses on research, education, and citizen science programs to promote bird conservation. Its research programs include bird population studies, a state-of-the-art bioacoustics research program, and a library of natural sounds. Citizen science programs include eBird and the Great Backyard Bird Count (both in conjunction with Audubon), Project FeederWatch, the House Finch Disease Survey, the Birdhouse Network, and Urban Bird Studies now Celebrate Urban Birds. Educational programs include the websites All About Birds, Birds of North America Online, Classroom Feeder Watch, Project Pigeon Watch Now part of Celebrate Urban Birds, a home study course in bird biology, and an annual sound recording workshop. Fatal Light Awareness Program. FLAP is a Toronto-based nonprofit formed in April 1993 to find a solution to the problem of birds flying into lighted buildings, especially during nocturnal migration flights. During migration seasons, FLAP volunteers patrol Toronto’s downtown core in the early-morning hours to rescue live birds and collect dead ones. Also, FLAP publicizes the problem and convinces building staffs, cleaning crews, security, and management to turn off the lights. As awareness of the problem grows, FLAP has been working with concerned groups in other cities to form similar organizations. Audubon. Audubon spearheaded the Important Bird Areas program in the United States and has taken a leading role in other vital issues, campaigns, and programs, including the Christmas Bird Count, eBird (in conjunction with the Cornell Lab), and Audubon At Home now Creating Bird-Friendly Communities, which gives people the tools to protect birds in daily life. On international issues, Audubon works in partnership with BirdLife International. National Wildlife Federation. The National Wildlife Federation focuses on land stewardship, water resources, and wildlife conservation issues on regional, national, and global levels. It provides a wealth of educational resources, from magazines to the popular and useful eNature.com. The Nature Conservancy. The Nature Conservancy’s mission is to preserve the plants, animals, and natural communities that represent the diversity of life on earth by protecting the lands and waters they need to survive. It identifies the highest-priority places that will ensure biodiversity over the long term. Pesticide Action Network of North America. Although not specifically a bird conservation organization, the Pesticide Action Network of North America (PANNA) maintains meticulous records on research and works to protect all of us from pesticides’ harmful effects. According to its website, PANNA “works to replace pesticide use with ecologically sound and socially just alternatives. As one of five PAN Regional Centers worldwide, we link local and international consumer, labor, health, environment and agriculture groups into an international citizens’ action network. This network challenges the global proliferation of pesticides, defends basic rights to health and environmental quality, and works to insure the transition to a just and viable society.” PANNA’s newsletter, sent via e-mail, is filled with accurate and up-to-date information about pesticide-related issues. The Rainforest Alliance. The Rainforest Alliance works to protect ecosystems and the people and wildlife that depend on them by transforming land-use practices, business practices, and consumer behavior. Companies, cooperatives, and landowners that participate in its programs must meet rigorous standards that conserve biodiversity and provide sustainable livelihoods. Based in New York City, with offices throughout the United States and worldwide, the Rainforest Alliance works in more than fifty counties with farmers, foresters, lodge owners, and tour operators—people whose livelihoods depend on natural resources. Groups ranging from large multinational corporations to small, community-based indigenous groups work to transform the way food is cultivated, wood is harvested, and travel is practiced. The Rainforest Alliance certifies farms as well as forestry and tourism operations that meet its standards for balancing environmental, social, and economic considerations. Union of Concerned Scientists. The UCS is an independent nonprofit alliance of more than 100,000 concerned citizens and scientists who combine rigorous scientific analysis with innovative thinking and committed citizen advocacy to work for a cleaner, healthier environment and a safer world. It produces many useful resources for learning about conservation and environmental issues that affect humans and birds. Bird-specific groups. A wide range of organizations focuses on particular birds, such as the International Crane Foundation and Operation Migration (which no longer leads cranes on migration—that project ended), the Hummingbird Society, the Purple Martin Conservation Society, and the North American Bluebird Society. Most states and provinces have ornithological organizations, and there are many local and regional nature centers, bird observatories and sanctuaries, wildlife refuge support organizations, birding clubs, and other worthy groups. Support the ones that campaign for the issues you care about.